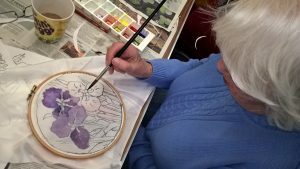 Take part in a variety of arts, crafts and hobbies in an informal, friendly group. We meet on the first and third Monday of the month from 10.30 am– 12.30 pm at Yealmpton Community Centre. A small charge of £3.00 is required to cover all materials used.